Welder - later ran his own printing business. A lifelong Bolton Wanderers supporter he represented Burnden Ward for more than 21 years. A diabetic himself, he was a tireless campaigner for diabetes and lupus charities. 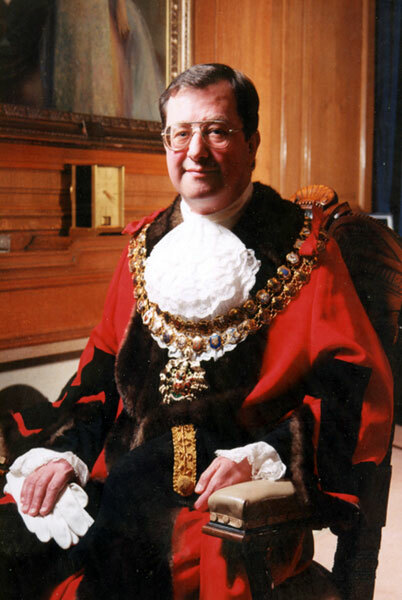 His wife, Glynis, was Mayoress. 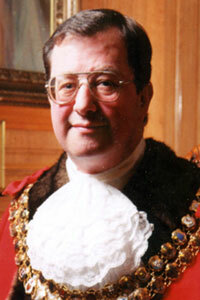 Formal portrait of Peter Birch as Mayor of Bolton. 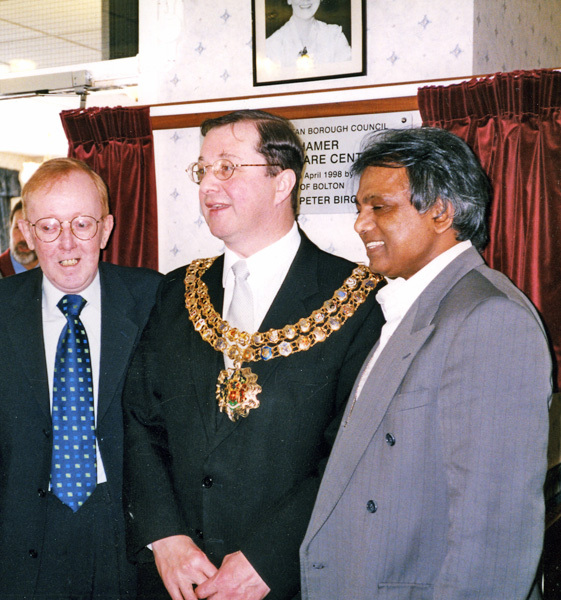 Peter Gareth Birch as Mayor of Bolton at the opening of the Lilian Hamer Community Care Centre on Deane Road, Bolton in 1998.